Posted January 29th, 2014 by tom44 & filed under American Economy. Join state and local policymakers, members of the Obama administration, and leaders from the business, academic, and philanthropic sectors for a conversation about the significance of regional innovation clusters to the future of the American economy. Hear from CEOs and regional leaders who are leveraging the power of clusters—networks of interconnected, geographically concentrated businesses, and related actors in the same industries—to boost entrepreneurship and job growth. 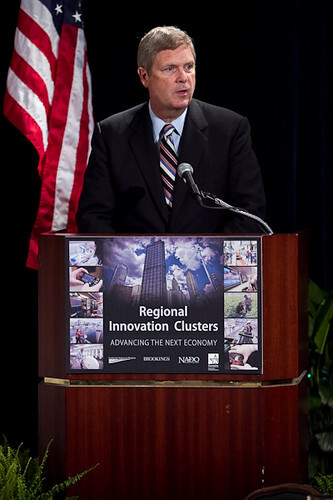 Also learn about new directions in federal policy aimed at tapping the potential of clusters to enhance regional and national economic performance.